Intacct will help you transform your finance organization with comprehensive functionality—from core accounting to global financial management. The company’s sole focus is on building amazing financial management and accounting applications that fit into your existing business infrastructure and integrate well with the other key applications you use to run your business—giving you the freedom to choose and deploy the best applications for each of your departments. Get up and running with Intacct in just a few weeks, for unmatched time-to-value. 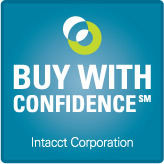 Unlike traditional ERP software that you install and run on your servers, Intacct is cloud computing based. So you pay as you go, only for what you need. No need to purchase or install hardware or software. And you can take advantage of robust migration tools, and an extensive library of pre-built, best practices templates, reports, and workflows. As your business evolves, you can easily adapt Intacct to match the unique needs of your business—now and into the future. Gain deep insight into the health of your business right now—or whenever you need—using real-time, role-based dashboards and rich reporting and analysis. You can set up secure role-based access to Intacct applications, reports, and dashboards for all of your stakeholders, wherever they may be—remote offices, traveling, at home. Plus complete audit trails ensure you always know who did what and when. Save time and money by letting Intacct take the risks and make the investments in technology and infrastructure, while you get world-class software, regular updates, security, on-demand scalability, manageability, and much more—all included in your subscription. Pay only for what you need, and only when you need it. There’s no hardware to purchase, no software to install. All you need is a PC, Mac, iPad, or Android tablet, and an Internet connection, and you’re off and running. Salesforce CRM provides your sales and executive teams with anytime, anywhere access to lead and opportunity information and gives you visibility into your entire sales pipeline. But once your sales people close an opportunity, Salesforce CRM stops. Intacct takes over as the order moves to your finance department to be booked, invoiced, shipped, collected and turned into cash, revenue and commissions. If you’re already using Salesforce—the most popular cloud-based CRM system—why not consider connecting Salesforce with Intacct, the most popular financial application on the Salesforce AppExchange. Protecting your financial data is the foundation of Intacct’s mission to earn and maintain your trust. Intacct does more than promise—they guarantee the high performance, availability, security, and reliability of your financial applications.